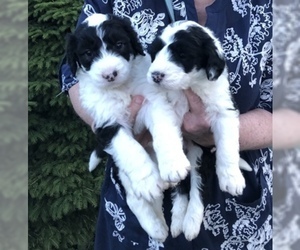 Sheepadoodle puppies. Born Jan 8th. Ready to go. Located in Austin, Texas. I have 1 male and 3 females available. Text for updated pics. 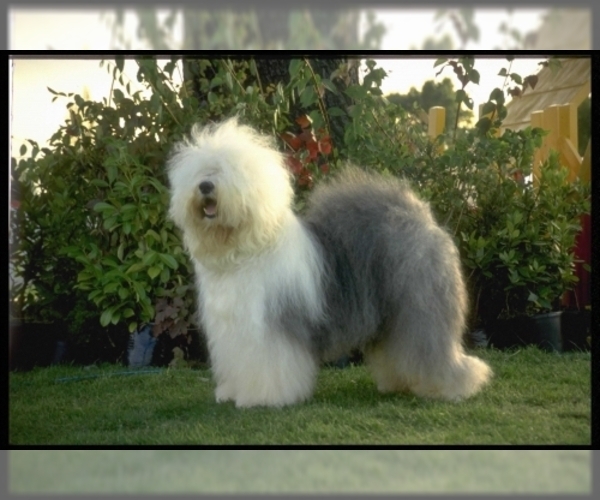 Overview: Sheepadoodles are a hybrid between an Old English Sheepdog and a Poodle. Both the Old English A cross between Old English Sheepdog and Poodle is known as Sheepadoodle. It may have the best attributions of its parent breeds. 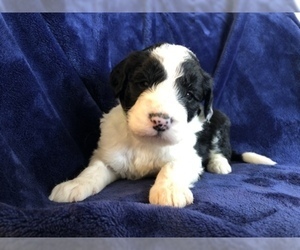 Sheepadoodle are not only much loving dogs but also so sweet and smart as well. A sheepadoodle loves being pleased. This hybrid is non aggressive, averagely intelligent, ever ready to please the owner. Being an intelligent dog it is easy to train but early age socialization is recommended. They are hypoallergenic dogs. They will need a fair amount of exercise and feel happiness if provided with toys to play with. It attires long, wavy and soft coat. Sheepadoodles in adulthood meet in black; however, when they rise up may come in white, tan, gray, black, silver or any combination. Some of them may have black patches on their body and ears. They sheds little to no, this quality makes them hypoallergenic. 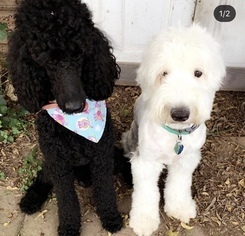 The Medium sized Sheepdadoodles have weight from 60 to 80 pounds and height is in between 13 and 24 inches, age limit is from 12 to 15 years usually. Character: With a great character these are great family dogs. Good with kids and more likely very frank with other canines. It is not only playful but also smart and loyal. Nowadays sheepadodoles are going to be the most loved dog because of their excellent calm temperament and the teddy bear appearance. 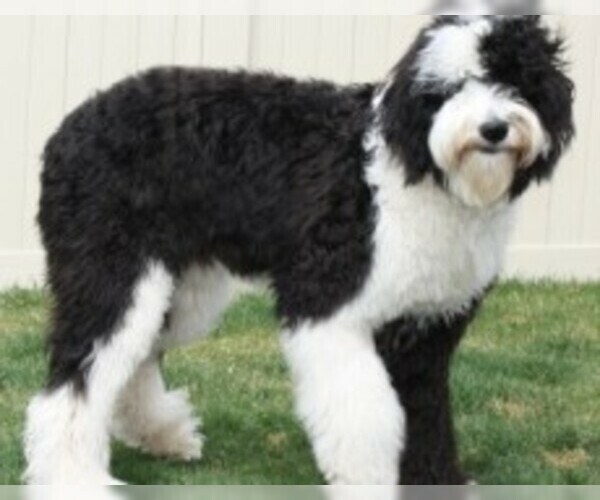 Temperament: Sheepadoodle are not only much loving dogs but also so sweet and smart as well. A sheepadoodle loves being pleased. With a great character these are great family dogs. Good with kids and more likely very frank with other canines. It is not only playful but also smart and loyal. Nowadays sheepadodoles are going to be the most loved dog because of their excellent calm temperament and the teddy bear appearance. This hybrid is non aggressive, averagely intelligent, ever ready to please the owner. Being an intelligent dog it is easy to train but early age socialization is recommended. 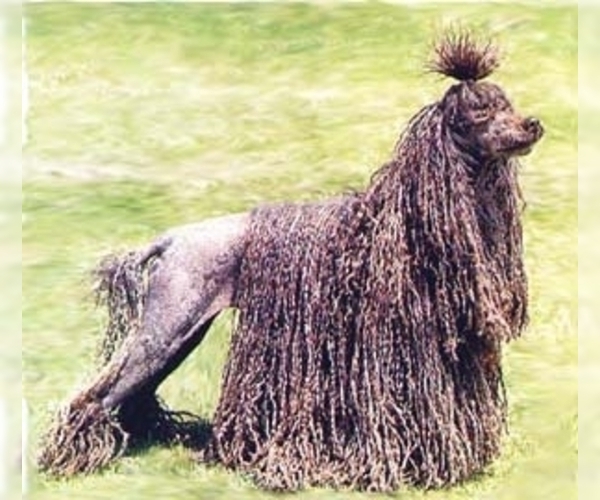 They are hypoallergenic dogs. They will need a fair amount of exercise and feel happiness if provided with toys to play with. More Like other pups they also needed early socialization and the good training. This will help them to make a better dog. It is mandatory to admit them in puppies kindergarten class for a brilliant outset. They must get socialization in early age. It will helpful to make an even temper dog. You should get your dog along with when you are going to a journey. Good training and socialization may tend to a dog to be good temper dog. Care: The Sheepadoodle is average shedder. However, it must be groomed or brushed daily. It has a long coat so clipping and trimming is needed time to time. The ear cleaning should be carried out time to time if you like to avoid dogs ear infection. Training: Training is a thing which has a great influence and importance to make a dog brilliant dog. Sheepadoodles are intelligent and it make them easy to train. It requires consistent, firm and positive training sessions. So must be consistent, firm, patient and fair in training. No doubt it is rather easy to train, however; early time socialization is recommended. 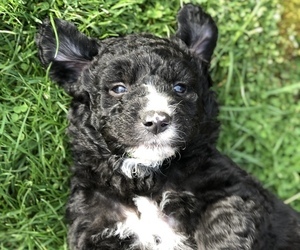 Activity: Sheepadoodles are usually very much playful and lively dogs. They can like to have a play time in a fenced yard or in a safe area. They may tend to feel some joy if have some toys to play with. Health Issue: The generally healthy breed might genetically develop issues like hip dysplasia, ear infection etc.